Enlarged print edition now available! 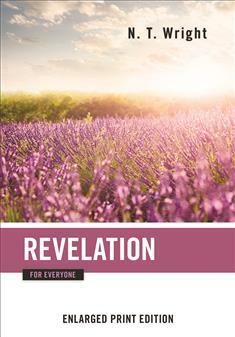 In this final installment of the New Testament for Everyone series, Tom Wright explores the book of Revelation. With clear, accessible language, Wright offers us an entrance into the final book of the New Testament. While the book of Revelation has often been written off as a foretelling of doom, it is much more complex than this and has captured the imaginations of both lay and professional readers.